The first American citizen to be canonized (she was born in Italy) was Francesca Cabrini (1850-1917), and she was a boss! I mean, of course, to employ this colloquialism in the most profound and positive sense: she was awesome. She was a real leader, with intelligence and determination, who inspired others and who didn't get pushed around by anyone. In the early days of active religious congregations of women, she embraced the apostolic life with heroic courage, global vision, and at the same time concrete focus on the people she served. All of this was due to her passionate adherence to the Person of Jesus Christ, a love that overflowed into a joy, a vigor, a humble and winning persistence in the face of a multitude of hindrances and desperate circumstances. 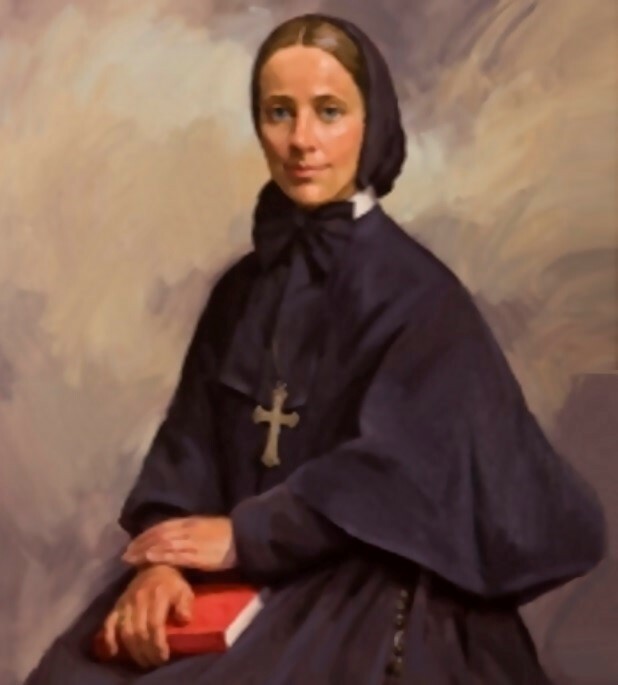 The love of Christ carried this great lady and her spiritual daughters as they dedicated themselves to the poor and especially those who came to the New World in such large numbers in the late 19th-early 20th centuries. Immigrants of those days loved "Mother Cabrini," who took care of them with immense tenderness and showed them the face of Jesus. "Prayer is powerful! It fills the earth with mercy, it makes the Divine clemency pass from generation to generation; right along the course of the centuries wonderful works have been achieved through prayer" (Saint Francesca ["Frances"] Cabrini, feast November 13).